US lawmakers are about to reverse post-crisis rules meant to shield taxpayers from having to bail out large banks in case of another meltdown. US lawmakers are on the verge of substantially weakening post-crisis regulations on Wall Street banks – and they have decided the tenth anniversary of the worst financial meltdown in modern history is just the right time to do it. In particular, the new law, which appears to have ample political support from majority Republicans and several Democrats, would sharply narrow the number of banks considered “too big to fail” and thus open to greater scrutiny from regulators like the Fed as well as tougher capital requirements. Dennis Kelleher, president of advocacy group Better Markets, told Business Insider he is deeply concerned by the new legislation’s reversal of many key rules in the so-called Dodd-Frank law passed in 2010. The bills proponents, which include 13 Democrats, argue that the Dodd-Frank rules went too far and became overly cumbersome for all but the biggest Wall Street banks. Their strong financial performance, Kelleher says, suggests otherwise. “Every single argument for deregulation has been objectively rebutted by rising if not historic bank revenues, profits, bonuses and lending,” he said. Despite its likely passage, several senior Democratic senators, including Elizabeth Warren and Sherrod Brown, have come out against the bill. “People in this building may forget the devastating impact of the financial crisis 10 years ago, but the American people have not forgotten,” Warren told reporters at a Senate press briefing Tuesday. 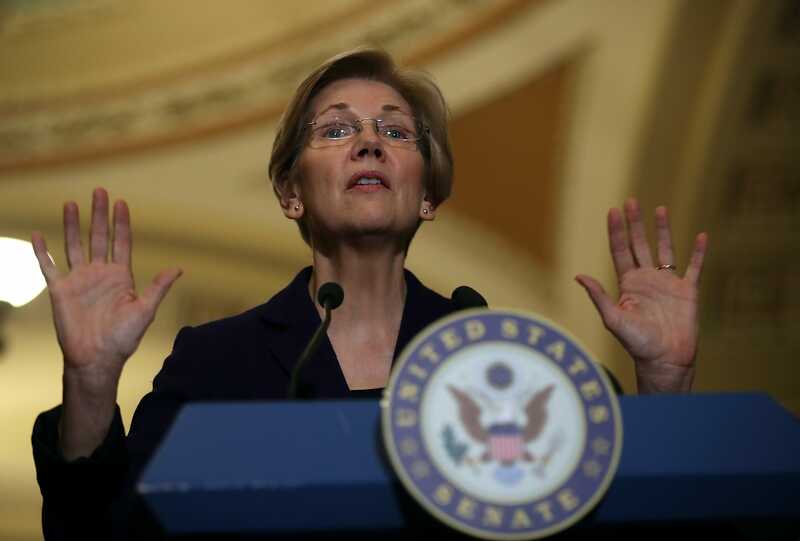 Warren opposes the legislation’s mandate to raise the threshold at which banks are considered systemically important – and thus potentially needing government bailouts and subject to stricter oversight – to $US250 billion from $US50 billion. Banks of smaller but still substantial size needed plenty of government help during the 2008 financial crisis, Warren says. The new rules would also exempts banks with less than $US10 billion in assets from rules banning proprietary trading. Kelleher says a fairly strong economic backdrop and record bank profits should be an indication that financial institutions should be strengthening their balance sheets, not facing looser oversight. “In a rational world, this is exactly when counter-cyclical measures would require increasing bank capital, liquidity and other buffers for the inevitable downturn, thereby ensuring that the financial sector is strong enough to lend through the cycle rather than contract to repair fragile, broken and over-leveraged balance sheets,” he said.